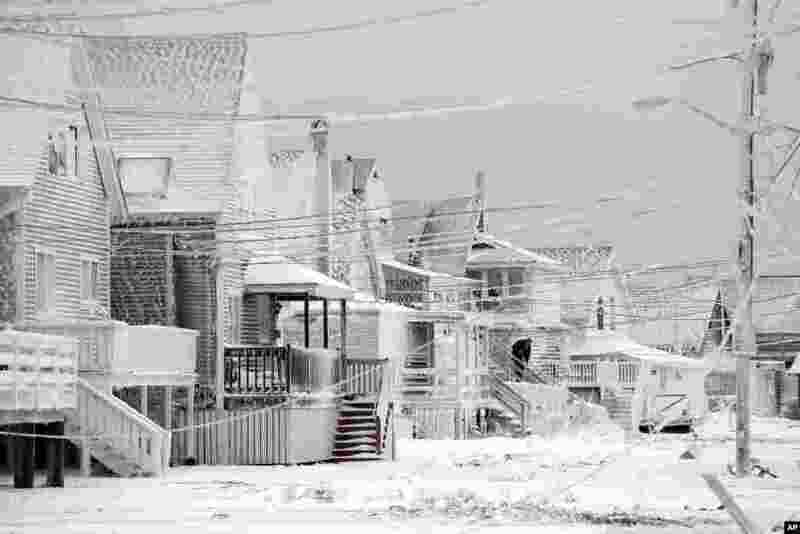 ۱ Dexter Newcomb begins cleanup at his house in Scituate, Massachusetts the day after a winter storm left his neighborhood coated in frozen sea spray, snow and sand. 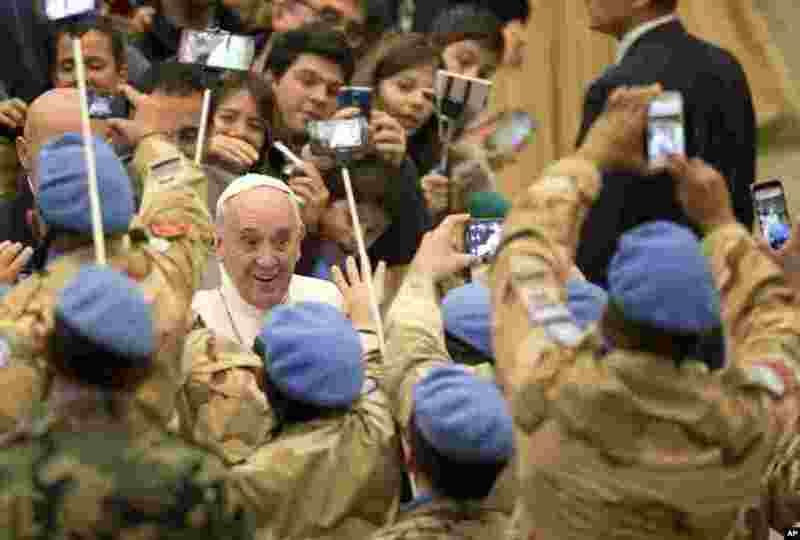 ۲ Pope Francis is greeted by Argentinian officers of the United Nations Peacekeeping Force in Cyprus, UNFICYP, as he arrives for his weekly general audience in Pope Paul II Hall, at the Vatican. 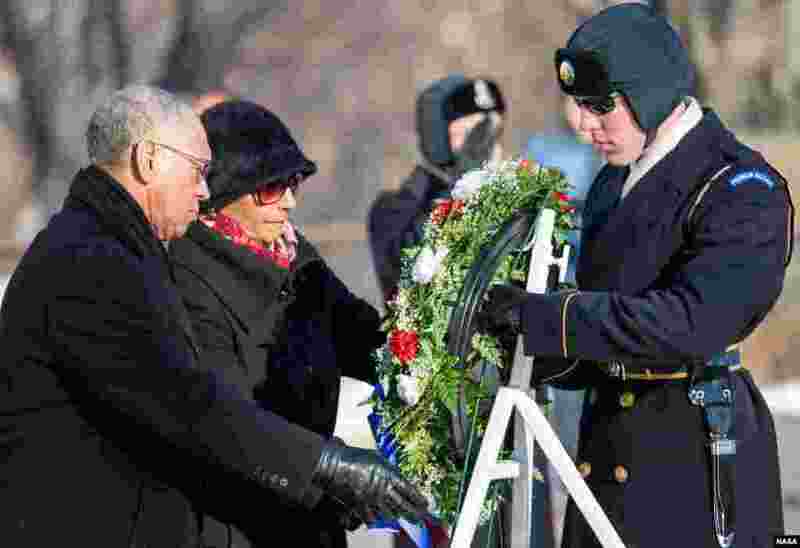 ۳ NASA Administrator Charles Bolden and his wife, Alexis, lay a wreath at the Tomb of the Unknowns as part of NASA's Day of Remembrance at Arlington National Cemetery in Virginia. The wreaths were laid in memory of those men and women who lost their lives in the quest for space exploration. 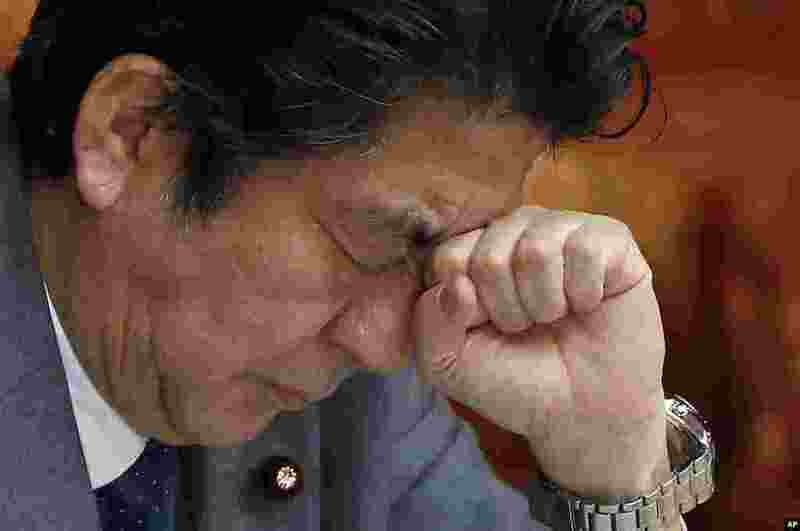 ۴ Japan's Prime Minister Shinzo Abe reacts during a session at the upper house of Parliament in Tokyo.